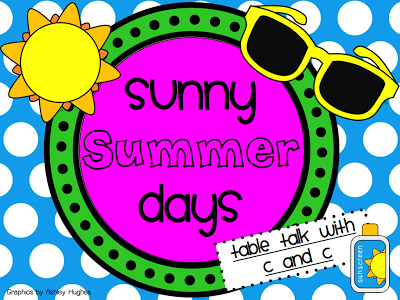 Since summer break is fast approaching, we've decided to host a fun summer weekly linky party! 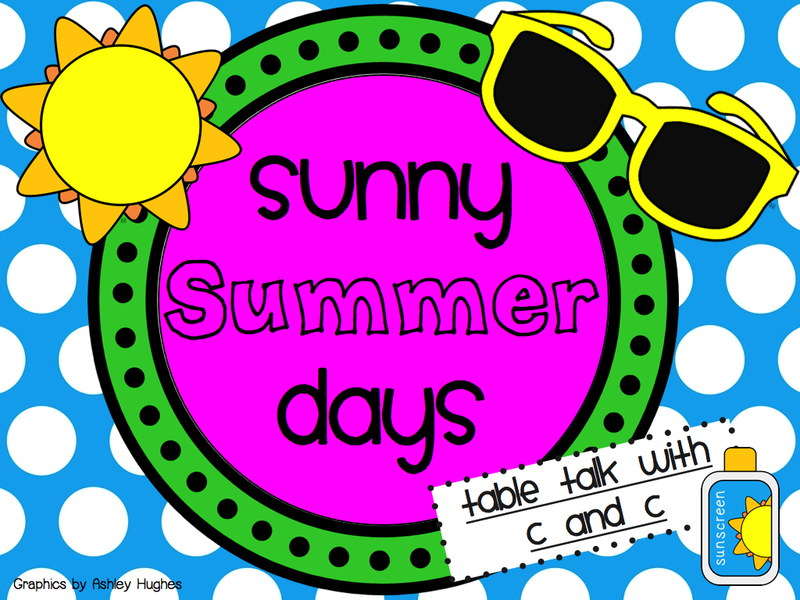 We thought this would be a great way for everyone to share what they are working on for the upcoming school year and share the fun vacations and activities that everyone is doing! What do you think? Is this something you would link up to?? Our plan is to start the first week of June. We will post more details next week! As our year is ending, I've been preparing some end of the year gifts for our kiddos. On our last day I usually give our students a jar of bubbles. We spend some time outside blowing bubbles and they have a blast! I made a cute little tag to add to the jar of bubbles. I created a color version and a black and white version. 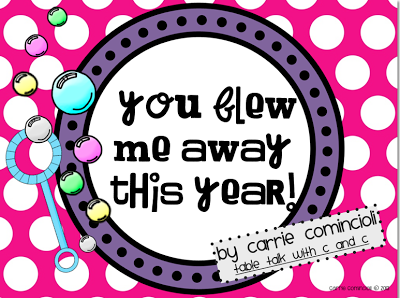 Click on the pictures or HERE to download your free copy. 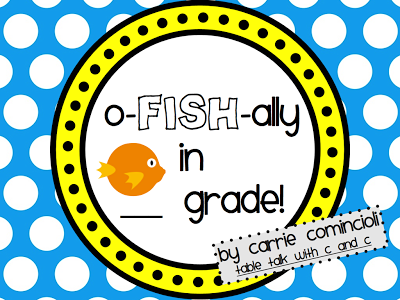 I've also decided to give my students a bag of goldfish (which they love). I found some cute orange and white polka dot ziplock bags in the dollar spot at Target (one of my favorite places to shop for my class). 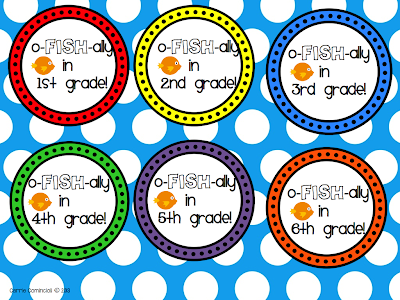 I plan to fill the baggies with goldfish and add these cute tags to show the kids they are "o-FISH-ally" in 3rd grade! I created a color version and a black and white version. 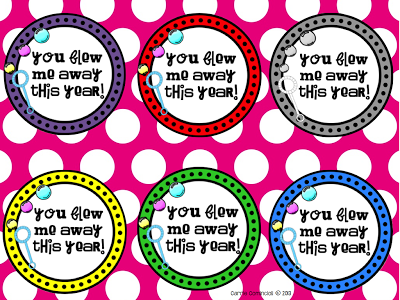 I made tags for students entering 1st thru 6th grades. Love the linky idea. Can't wait for June to link up. I love your bubble labels, I've already downloaded them. Thanks so much for sharing.